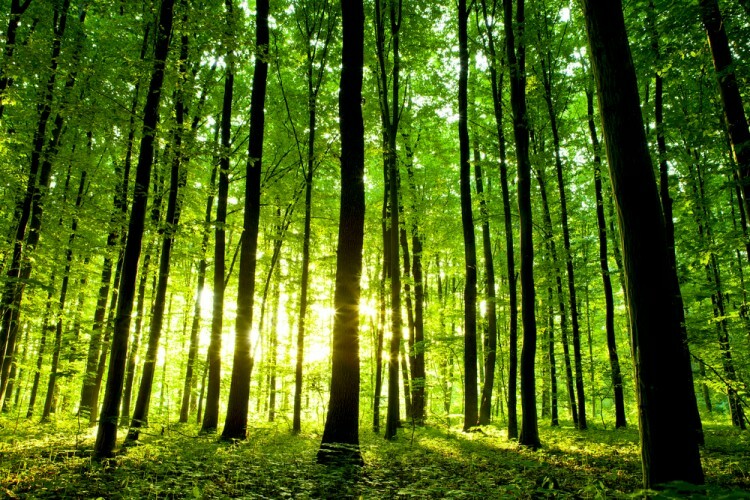 Hedge Funds Are Dumping Universal Forest Products, Inc. (UFPI): What Are They Afraid Of? At Insider Monkey we track the activity of some of the best-performing hedge funds like Appaloosa Management, Baupost, and Third Point because we determined that some of the stocks that they are collectively bullish on can help us generate returns above the broader indices. Out of thousands of stocks that hedge funds invest in, small-caps can provide the best returns over the long term due to the fact that these companies are less efficiently priced and are usually under the radars of mass-media, analysts and dumb money. This is why we follow the smart money moves in the small-cap space. Universal Forest Products, Inc. (NASDAQ:UFPI) investors should be aware of a decrease in support from the world’s most successful money managers of late. 14 hedge funds that we track were long the stock on September 30. There were 15 hedge funds in our database with UFPI holdings at the end of the June quarter. The level and the change in hedge fund popularity aren’t the only variables you need to analyze to decipher hedge funds’ perspectives. A stock may witness a boost in popularity but it may still be less popular than similarly priced stocks. That’s why at the end of this article we will examine companies such as Hawk Corporation (NYSE:HAWK), Grand Canyon Education Inc (NASDAQ:LOPE), and Abengoa Yield PLC (NASDAQ:ABY) to gather more data points. At the end of the third quarter, a total of 14 of the hedge funds tracked by Insider Monkey were long this stock, a 7% dip from one quarter earlier. 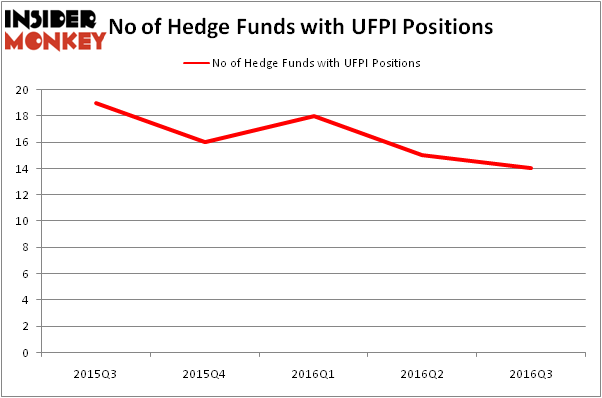 The graph below displays the number of hedge funds with bullish position in UFPI over the last 5 quarters, which has generally trended down. With the smart money’s positions undergoing their usual ebb and flow, there exists an “upper tier” of key hedge fund managers who were upping their stakes significantly (or already accumulated large positions). According to Insider Monkey’s hedge fund database, Arrowstreet Capital, led by Peter Rathjens, Bruce Clarke and John Campbell, holds the largest position in Universal Forest Products, Inc. (NASDAQ:UFPI). Arrowstreet Capital has a $23.9 million position in the stock. Sitting at the No. 2 spot is Ken Fisher of Fisher Asset Management, with a $23.7 million position. Other professional money managers that hold long positions include Cliff Asness’ AQR Capital Management, John Overdeck and David Siegel’s Two Sigma Advisors, and Jim Simons’ Renaissance Technologies. We should note that none of these hedge funds are among our list of the 100 best performing hedge funds which is based on the performance of their 13F long positions in non-microcap stocks. Is Tobira Therapeutics Inc (TBRA) A Good Stock To Buy? Is Cohu, Inc. (COHU) A Good Stock To Buy Right Now? Hedge Funds Are Selling Concordia International Corp (CXRX) Is Bottomline Technologies (EPAY) A Good Stock To Buy? Is 2U Inc (TWOU) A Good Stock To Buy? Is Cryolife Inc (CRY) A Good Stock To Buy?